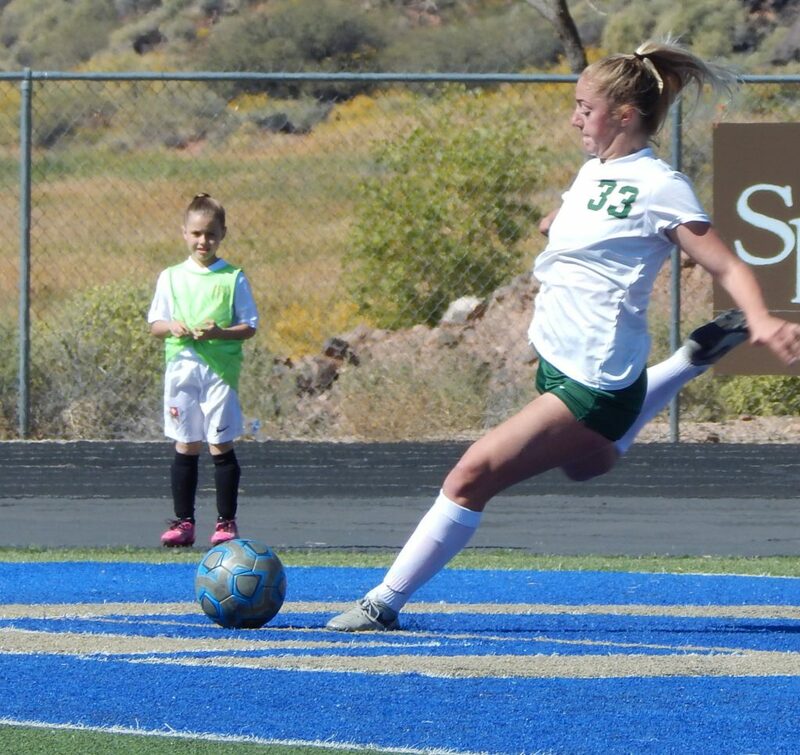 ST. GEORGE – The Snow Canyon Lady Warriors outlasted the Logan Grizzlies through 100 minutes of competitive soccer, eventually winning 4-2 in a near-perfect shootout. 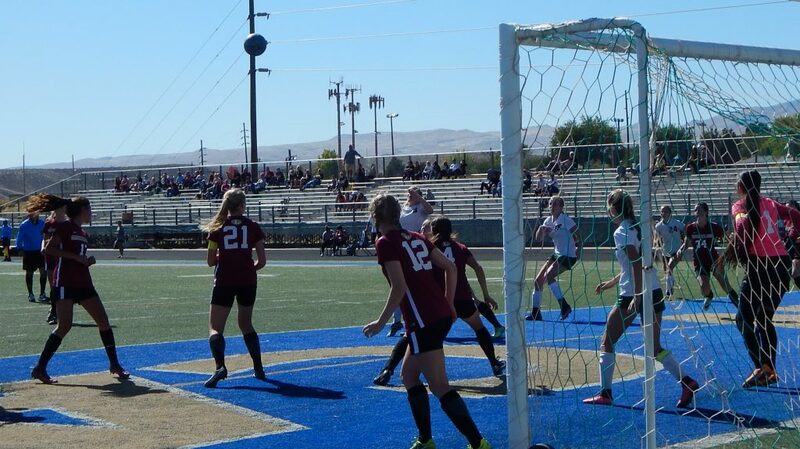 It was the first time the teams have played since the 2005 playoffs, when Logan beat Snow Canyon 2-0. The Warriors seemed off their game in the first half. Whether that was the early start at 1 p.m. or the fact the coaches could not go out as far as they were used to is up for debate. The Lady Warriors survived a scare early on, when the Grizzlies were able to get a corner kick in near the goal, but Lady Warriors goalie Megan Rodgers punched the ball away from the goal. 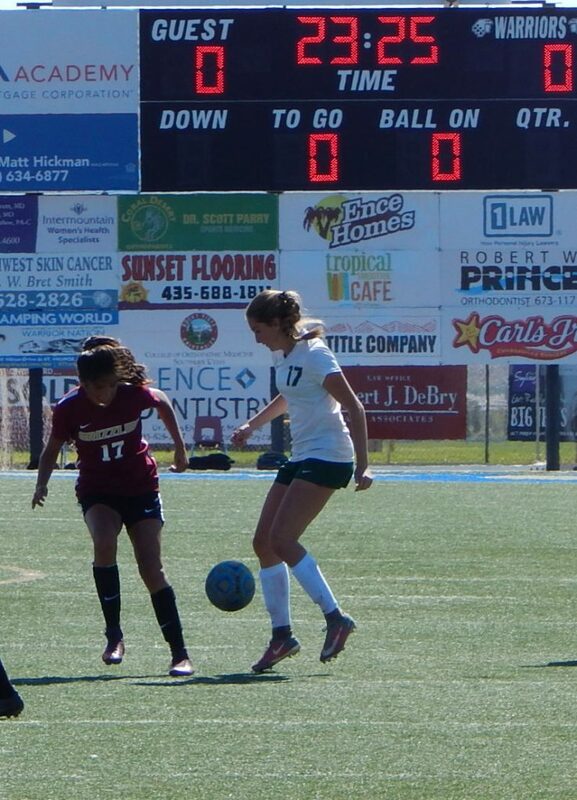 Snow Canyon had a chance in the 27th minute when Ashley Brindley got an open look at the goal from 25 yards out on the left side. Somehow, the shot curved to the right and stayed in play. Logan would recover the ball and clear it downfield. In the 31st minute, Arantxa Melendez had a shot inside the box, but was knocked down before she could get her head on the ball. No penalty was called, which sent the Lady Warrior fans up in arms. The teams would go into halftime tied at 0-0. Both teams were looking to come out strong in the second half. Logan got the first chance in the 46th minute when Marissa Dickson took a shot inside the box, only to have Rodgers save it before going into the goal. Only a few seconds later, defender Samantha Lindsey would slide in front of a Grizzlies shot and clear the ball down field to prevent another Grizzlies shot attempt. Although it does not show up in the stat sheet, Lindsey and fellow junior Sekada Burchinal had great games on the defensive side, drawing praise from themselves and teammates. In the 47th minute, Melendez lined up for a contested shot on the right side of the goal, only to have her shot curve far right and away from the goal. 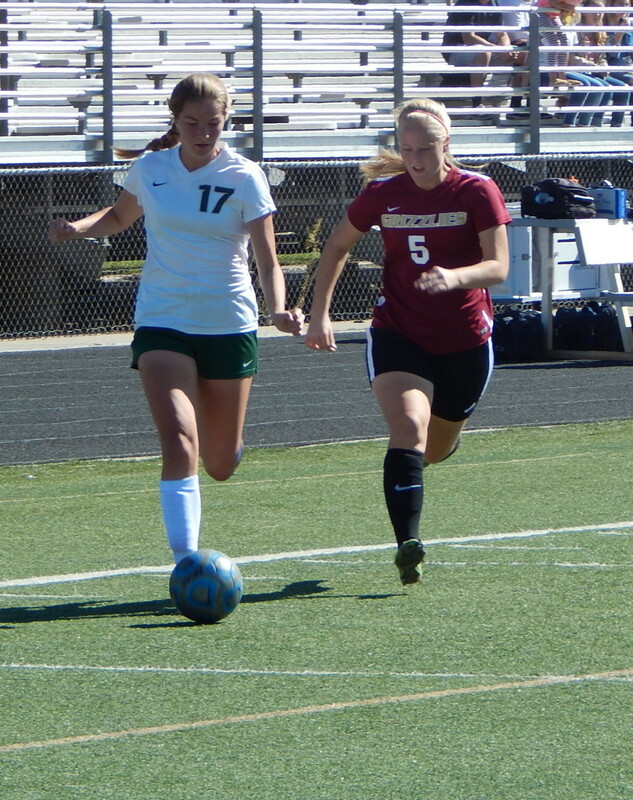 The Lady Warriors would get another chance in the 58th minute when Sarah Evans took a shot. It sailed just left of the goal, but seemed to put all momentum on the Lady Warriors side. 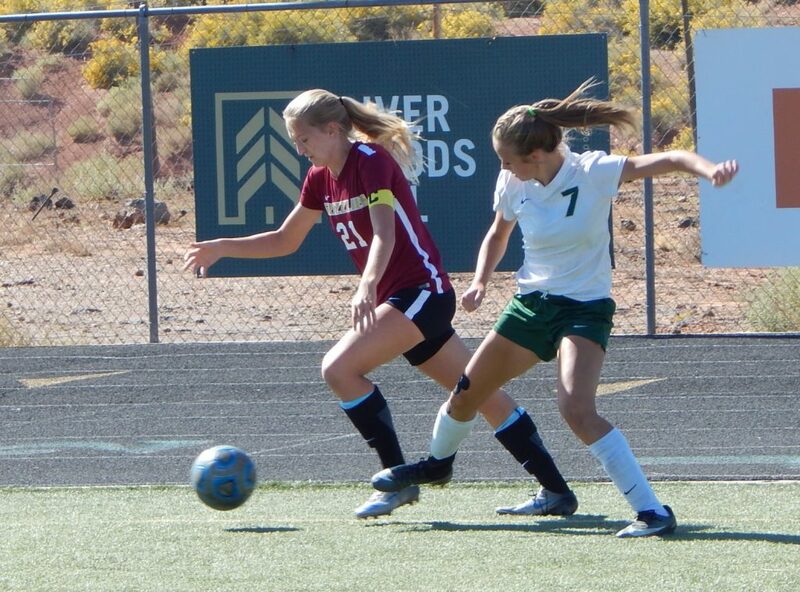 Snow Canyon avoided a scary situation when Rodgers came out of the goal in the 70th minute. The Grizzlies got by her and took a shot. 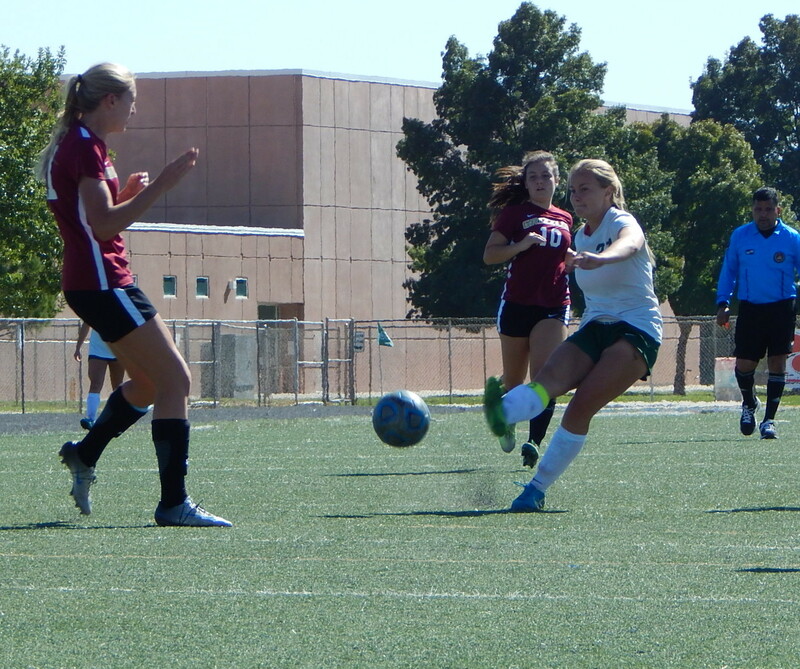 The defense was draped all over the shot, causing the slow-moving shot to be saved by defender Grace Call. A minute later, Rodgers saved another shot and got the ball up field to her forwards. The Lady Warriors had the ball in prime position for a shot, but the Grizzlies stifling defense came in at the last moment to prevent a shot attempt. Kunde praised the effort his goalie put in for the game, saying she was the MVP of the day. The teams would eventually go into overtime scoreless. In OT, Melendez took a corner kick in the 88th minute and sent it toward the far side goalpost. 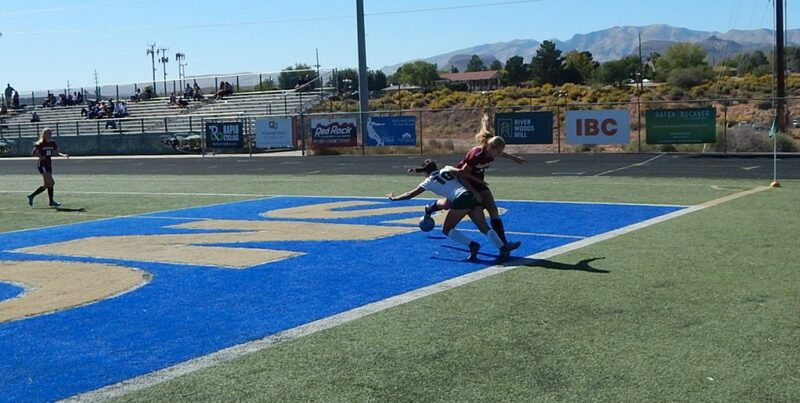 A Grizzly defender slipped, leaving senior Brielle Hoskins wide open for a header. Hoskins put the ball towards the goal, but Grizzlies goalie Siuana Pauni snagged the ball right out of the air and prevented the golden goal from going in. The second overtime would end with neither team scoring, meaning that a shootout would decide who would move on to the 4A semifinals. Snow Canyon however, was not worried. They have been practicing penalty kicks ever since region play ended. 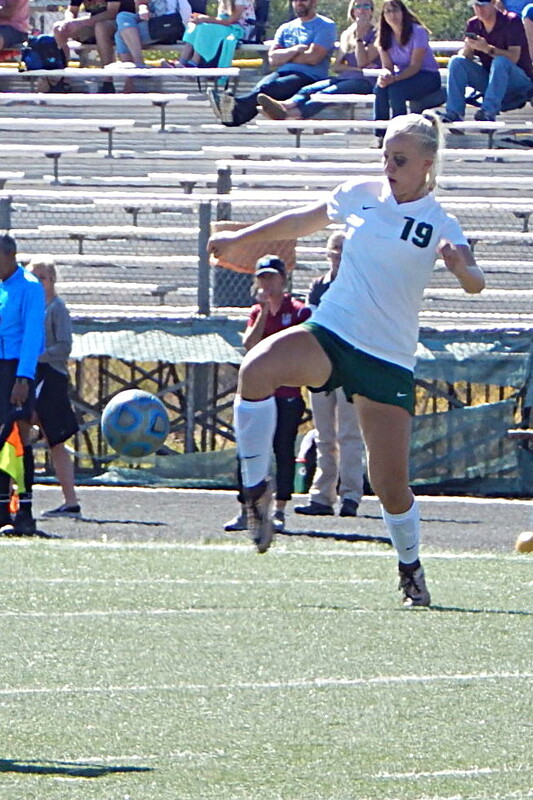 With that confidence in hand, the Lady Warriors sent senior Kira Boettcher to take the first kick. Boettcher put the ball into the left corner and past the keeper. Logan would answer back with Kaycee Larsen sneaking the ball by Rodgers. On the next attempt, Brindley hit the top post on her shot, but got the lucky bounce as the ball barely crossed the line. Rodgers would then come up with a great save on Logan’s attempt with Kennedy Michel. Melendez took the third attempt for the Lady Warriors and fired the ball past the Pauni. Logan would answer back on their attempt when Karly Lopez put the ball above Rodgers’ reach. Snow Canyon would lead the shootout 3-2 at this point, only needing one score and one stop to put the game out of reach. The Lady Warriors then left the deciding shootout goal to senior captain Jacie Mooring. She lined up her shot, and blasted it past the keeper, setting up a chance for Rodgers to seal the deal with the Warriors leading 4-2 in the shootout. With the win, the Lady Warriors advance to the semifinals for the third consecutive year, and the fourth time in the last seven years. 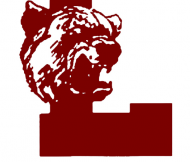 They will play the Bonneville Lakers, who beat Desert Hills in the first round and are coming off a 5-3 shootout win of their own against Green Canyon after being tied at one goal each at the end of both overtimes. That game will be on Oct. 20 at Hillcrest High School in Midvale. Snow Canyon vs Bonneville, 3:45 p.m.
Sky View vs Ogden, 6 p.m.